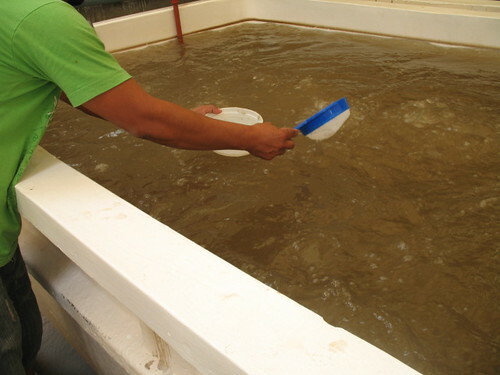 Ecuador shrimp have been an important part of Ecuador’s export economy for many years. Big problems create large opportunity and the BP oil spill is a problem of the greatest magnitude. There will be needs for a variety of products and services to help mitigate the effects of this disaster for years. Being of service to reduce the impact of this kind of ruin is worthy… fulfilling and can and should be profitable as well. For example, I wonder what the BP oil spill disaster will do to Gulf shrimp and what impact this will have on demand for seafood and Ecuador shrimp? See a slower but perhaps even worse ecological disaster that creates opportunity here. First let’s ask the question will the BOP oil spill affect the price of shrimp. An article in the St Petersburgh Times by Laura Reiley, Times Food Critic entitled “As oil spill lingers in Gulf of Mexico, seafood prices could begin to rise’ suggests it will. An excerpt says: Restaurateurs and retailers are poised for seafood prices to spike as the oil slick in the Gulf of Mexico spreads and settles. Consumers should anticipate spending more for shrimp and oysters first, and perhaps grouper and other fish later. Gulf of Mexico fisheries are some of the most productive in the world, home to 59 percent of U.S. oyster production and three-quarters of the country’s wild shrimp. People in the seafood business worry that all that could change. Frank Chivas, co-owner of Salt Rock Grill, Rumba, Marlin Darlin’ and Island Way Grill, isn’t taking any chances. He bought 50,000 pounds of shrimp last week when he first got wind of the spill. He’s not underestimating the potential impact of this environmental disaster. 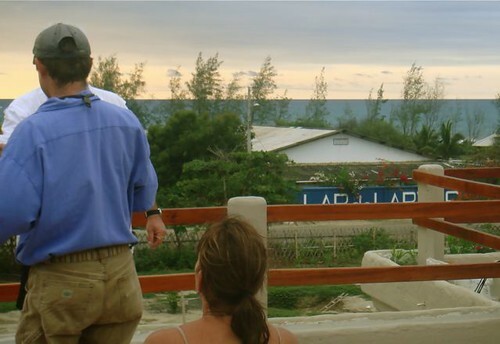 “We’re going to see the price of grouper, shrimp and other fish rise. Oysters could be nonexistent out of the gulf. This could affect things for decades,” Chivas said. This is a huge problem and problems create opportunity so I recalled a note sent to me on behalf of Flora Fierro the owner of a shrimp larvae farm next door to Vistazul Condos. Hi Gary, We have a ocean front property for sale and thought you might be interested to pass this information on to your readers. 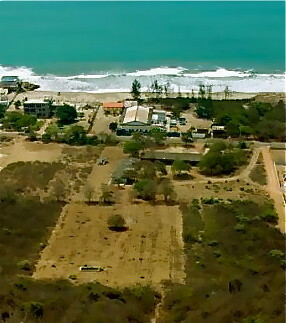 It is a large property in San Clemente beside Palmazul Hotel. It is about 66,000 square feet and has 240 feet of beach front and is 260 feet deep with road access etc. 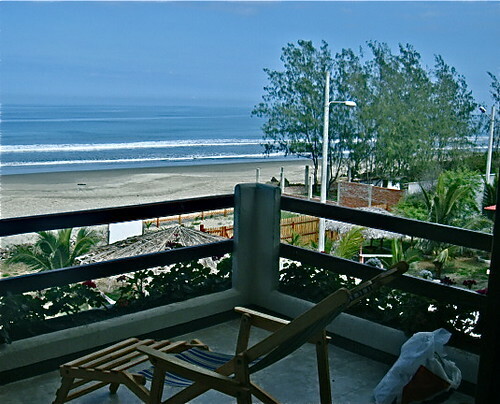 I know the property well as it is right next door to Palmazul Spa and I can see it from my penthouse there. The property starts at the light pole in this shot I took. Here is a shot from a roof garden at Vistazul across the street. The blue sign is the beginning of the property. Here is another shot. The property is right in the middle of this photo… with the large white roof. 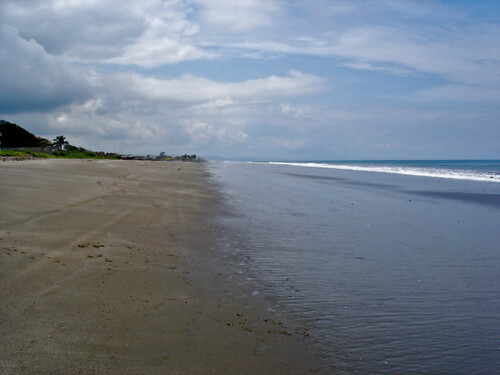 The property is on this beach. 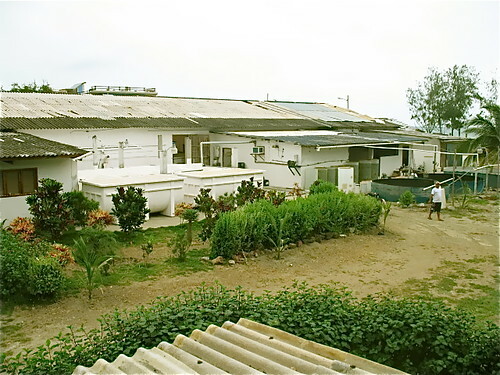 There is also a business opportunity in the shrimp business that can either be purchased with the land or separately. Here are some photos and some information regarding the larvae Business that is for sale. 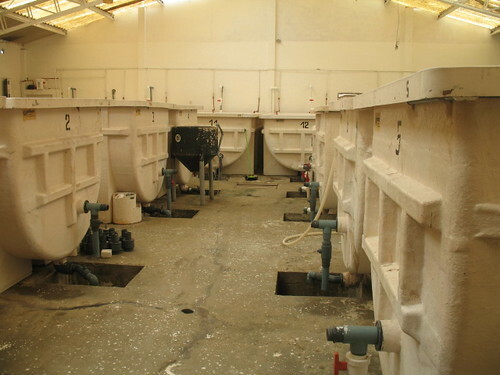 This facility is one of the larger larvae labs in Ecuador and is capable of producing 50 to 60 million larvae per month. It takes 21 days for the larvae to grow to a point of being salable and another week to prepare for the next crop. There is a fully trained staff that would probably stay working for the new owners so the transition could be rather easy. The current owner would agree to stay for a while to train the new owners so this is basically a turn key operation. The land is also for sale as we have discussed in the past but until it sells the option of leasing the land to run the business is possible. This business is fully licensed and has recently been inspected by the authorities to ensure it meets the standards required for production. It also has the necessary permits for pumping sea water for use in the tanks. So the math is fairly simple $1.20 x 40,000 (40 million larvae) equals $48,000.00 multiplied x 12 equals $576,000.00 annually with a monthly profit possible of close to $20,000.00. These numbers are all relative to the production and the sales. But even if you cut the production in half the numbers are still viable. There is always some losses as they are living creatures so based on a loss ratio of 15% which is probably high this scenario would need to have a crop of 46 million larvae which is well under the capacity of the lab. So if it is run properly the cash-flow is certainly there. The higher the production volume the lower the cost per thousand as with nearly any manufacturing or production facility. If the volume is kept up the costs are running around 50 to 60% of the sale price leaving a nice profit per month. I have supplied these numbers for your information and to assist you in understanding where the value is in this business. Please be careful what you publish as not to cause damage to the owner of the lab. This is Section A which holds 14 tanks and can produce over 30 million larvae. This is another shot of Section A, Walter is sampling the larvae. Here is a pic of the larvae. 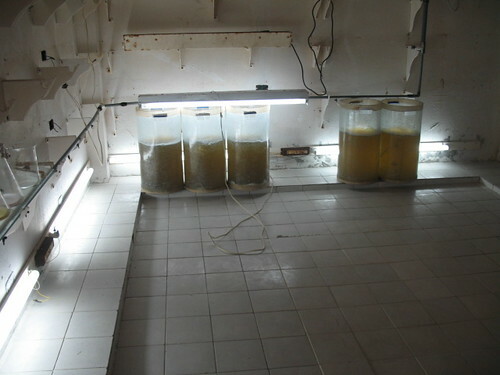 A shot of the algae culturing lab. land was purchased with the business. I have copies of the land and building site plan for any serious inquiry. I know nothing about the food exporting or the shrimp business… but if you do and this or the land are of interest you should do your due diligence. I discussed this fact with Kjetil Haugan the owner at Palmazul Spa next door. To make it easier for any reader to investigate this opportunity Kjetil will provide a 50% discount at the spa while there looking over the land and lab next door. Ecuador Living subscribers can contact Flora and Kjetil Haugan hough their password protected page at Ecuador Living contacts. The BP oil spill is a problem of the greatest magnitude. The frustrating part is there seems to be so little we can do. Yet in business and service we can help. 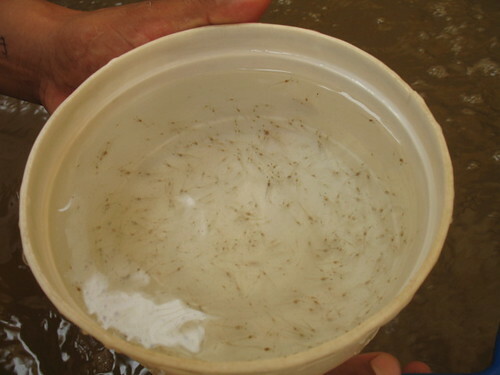 The shrimp larvae farm above may be one small way.